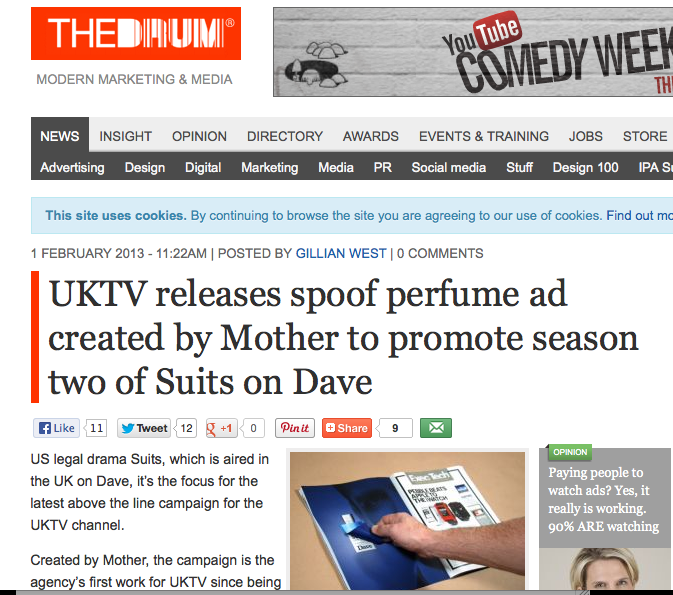 A collection of press and outdoor to launch series 2 of Suits on UKTV's Dave channel. Suits is a hit US TV show with a slick, bespoke-suited protagonist called Harvey Specter who fires witty quips with nonchalant flair and style. 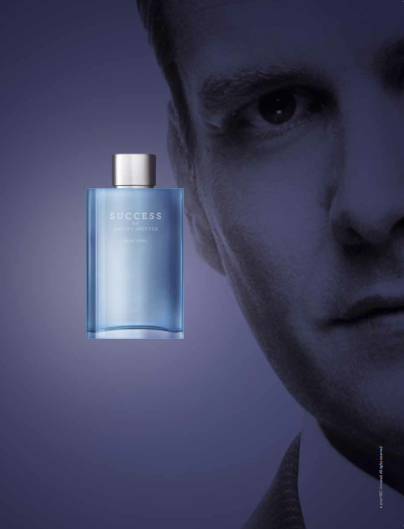 A fake perfume ad for a made-up Harvey Specter fragrance called Success that ran in Shortlist. 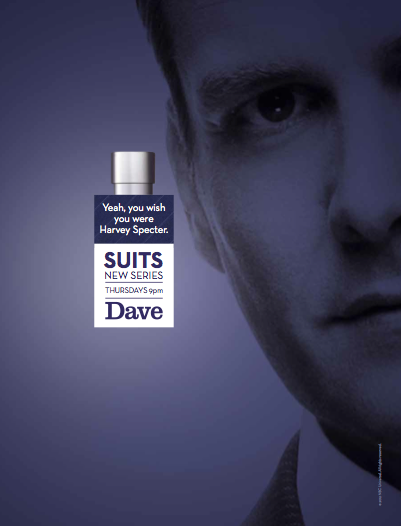 When you peeled back the tester sticker you got a reminder of the show and how, try as you may, you could never smell as good as Harvey.